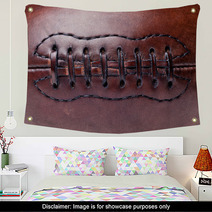 The Leather Vintage Football style is on hand in a variety of decor goods from wall murals, to pillows, to custom size rugs and window curtains, and even baby duvets or towels. 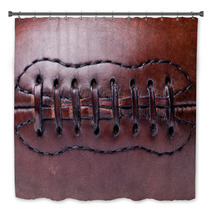 Entire Rugby themed collections are available for your bedroom, bathroom and almost any room in your house. 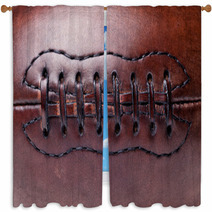 What about a new soft rug for your entryway? Let us change the main color or any color within this pattern to ANY color you desire. 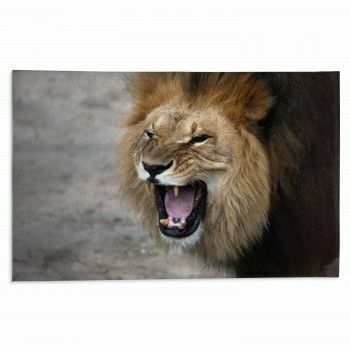 VisionBedding can also add a unique message anywhere within the graphic. Our custom choices are nearly unlimited. 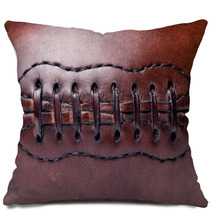 We can adjust the orientation or the main object within this particular Leather Vintage Football pattern. Don't you just love snuggling with a good blanket? 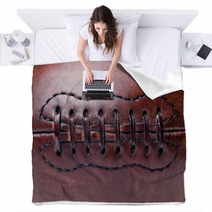 While Leather Vintage Football blankets are definitely beneficial for staying snuggly and warm, they can also make a visually appealing addition to your room. There are tricks to bringing your favorite blankets into an area so they don’t look like an accident or merely something someone forgot to put away. You want to make sure your blankets are nicely put out or laid out on furniture. 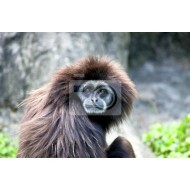 They can be cascaded over the back of a couch or hung over the arm of a chair. Check that they don't get too close to the floor or a seating area. If you are utilizing them in your bedroom, it's smart to drape them over a corner of the bottom of your bed, or folded cleanly along the end. So, what style of throw should you use? 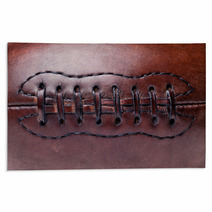 For your sense of style, a Leather Vintage Football throw blanket is an ideal choice. 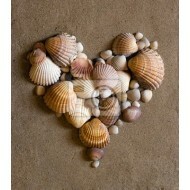 On top of that, it can quickly be replaced so it can be a great way to add in a seasonal touch. 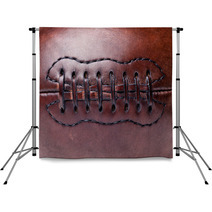 The best element of a throw blanket is that it is able to provide a fast and inexpensive way to dress up a space. Never got the chance to remove that stain from the chair? Still need to fix that rip on the arm of the couch? An intentionally styled throw keeps it looking sophisticated. 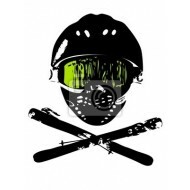 Tip - Remember, Some Styles, Are Short-Term! Keep in mind numerous decorating selections are fleeting. Therefore if you’re desiring something that you think you’ll still be fond of in the the future, it may be more fitting to stick to more classic picks. However if you want the opportunity to vary things up every once in a while then go for more extreme decorating styles. 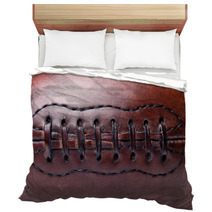 The Leather Vintage Football graphic can be quite versatile. Knowing explicitly what you’re inclined to renovate and what you’ll desire to preserve may help you to compose improved decorating selections.